Kelston Lock No 5 is a minor waterways place minor waterways place place on the waterways major waterways place village town city on the River Avon (Kennet and Avon Navigation) between River Avon Junction (Junction of the River Avon and the Kennet & Avon Canal) (5 miles and 1¼ furlongs and 1 lock to the east) and Hanham Lock Weir Exit (Channel leading to the Weir) (6 miles and 1½ furlongs and 4 locks to the northwest). The nearest place in the direction of River Avon Junction is Kelston Lock Weir Entrance (Channel leading to the Weir); ½ furlongs away. The nearest place in the direction of Hanham Lock Weir Exit is The Shallows Railway Bridge No 210 (Part of the Bristol - Bath Cycleway); 2½ furlongs away. This is a lock with a rise of 3′1″. Kelston Lock is a canal lock situated on the River Avon, between the villages of Kelston and Saltford, between Bristol and Bath, England. The Bristol Avon Navigation, which runs the 15 miles (24 km) from the Kennet and Avon Canal at Hanham Lock to the Bristol Channel at Avonmouth, was constructed between 1724 and 1727, following legislation passed by Queen Anne, by a company of proprietors and the engineer John Hore of Newbury. The first cargo of 'Deal boards, Pig-Lead and Meal' arrived in Bath in December 1727. The navigation is now administered by the Canal & River Trust. Above and below the lock and weir are permanent moorings. 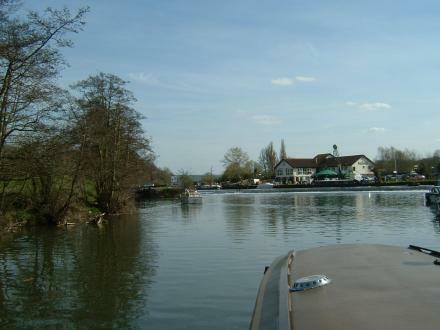 The Riverside Inn and Saltford Marina are also close by. A branch of the river runs behind "Brass Mill Island", named for the annealing ovens of the former brass mill. The mill closed in the 1840s. High Street, Saltford, Bristol, BS31 3EJ — 597 yards to the north. Mead lane, Saltford, Bristol, BS31 3ER — 1193 yards to the north. 476a Bath Road, Saltford, Bristol, BS31 3DJ — 756 yards to the west. Salford, M44 5 — 1229 yards to the west. 1297 yards to the east. Saltford House, High Street, Bristol, BS31 3ED — 679 yards to the northwest. Longwoods, saltford, Saltford — 753 yards to the northwest. Bath, BA2 9BN — 1047 yards to the southeast. 4 Cavendish Close, Bristol, BS31 3LH — 1377 yards to the west. 472 Bath Road, Bristol, BS313 — 770 yards to the west. Norman Road, Bristol, BS313BJ — 1155 yards to the west. Park Farm, Bath, BA1 9AG — 1111 yards to the east. Bristol — 647 yards to the west. Saltford, Bath — 811 yards to the west. Bournemouth — 934 yards to the west. Bristol — 902 yards to the north. Bristol — 811 yards to the west. Bristol — 1305 yards to the west. Riverside inn, saltford, Bristol, BS313EZ — 157 yards to the southwest. 474E Bath Road, Bristol, BS31 3DJ — 759 yards to the west. Bristol, BS31 3 — 285 yards to the west. Avonwood 37 Bristol Rd Corston, Bath, BA29AA — 1235 yards to the southeast. 474c bath road, Bristol, BS313DJ — 759 yards to the west. 331 Bath Road, Bath, BS31 3TJ — 1009 yards to the south. 6 Haselbury Grove, Bristol, BS31 3AD — 890 yards to the west. Saltford — 795 yards to the west. Kelston — 1550 yards to the east. Parish Office, Saltford Library, 478a Bath Road, Saltford, BS31 3DJ — 733 yards to the west. Bath — 1379 yards to the south. 439 Bath Road, Saltford, Bristol, BS31 3JH — 1181 yards to the west. Bristol — 1149 yards to the west. St Marys Church Hall, Saltford, BS313EL — 417 yards to the northwest. Bristol — 904 yards to the west. 439 Bath Road, Saltford, Bristol, BS31 3AZ — 1184 yards to the west. 499 bath road, Bristol, BS31 3HQ — 617 yards to the west. 439 Bath Road, Saltford, Bristol, BS31 3AZ — 1190 yards to the west. Bristol — 762 yards to the west. Claverton Rd, Bristol, BS31 3DW — 927 yards to the west. Saltford, Bristol, BS31 3EG — 589 yards to the west. Bristol, BS39 6YG — 504 yards to the west. 3 Mill cottage, The Shallows, Bristol, BS313EY — 226 yards to the northwest. Bristol — 1331 yards to the northeast. Unit 1b pixash business centre Bs31 1TP, Bristol, BS31 1TP — 1109 yards to the north. Bath Road, Saltford, BS31 3JS — 353 yards to the south. 478B Bath Rd, Bristol, BS313 — 748 yards to the west. 83 yards to the west.